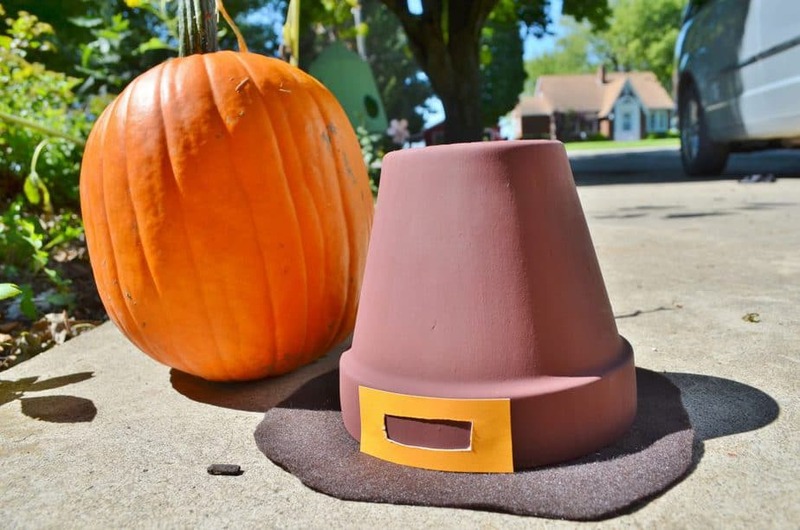 This SUPER SIMPLE Pilgrim’s Hat Terra Cotta Pot Decoration can be made using ANY size terra cotta flower pot! 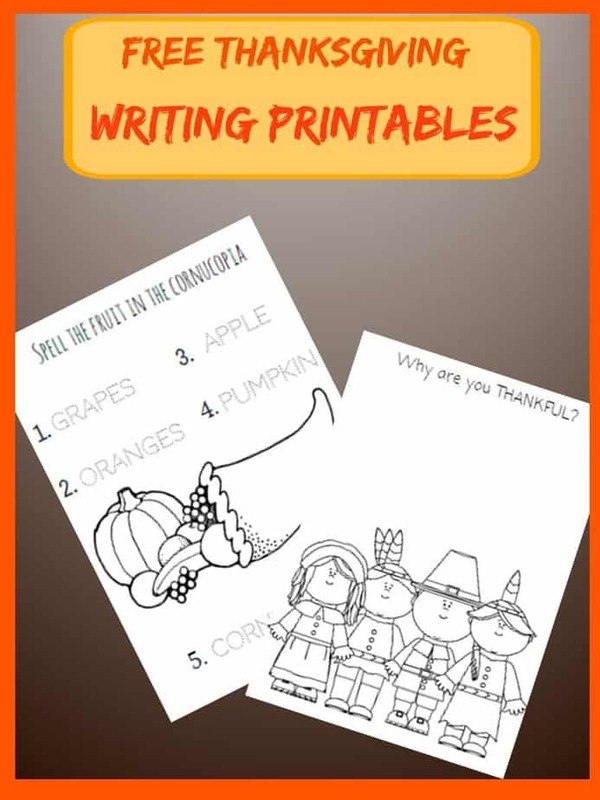 Last year I know SO many of you wrote me to tell me you wanted MORE Thanksgiving crafts and ideas as it seems to get overshadowed between Halloween and Christmas! So this year I have preplanned during November to have a month packed full of Thanksgiving (and fall) related crafts, activities, and goodies! I used small to medium sized terra cotta pot but you can buy the little mini ones and turn them into table place setting decorations too! 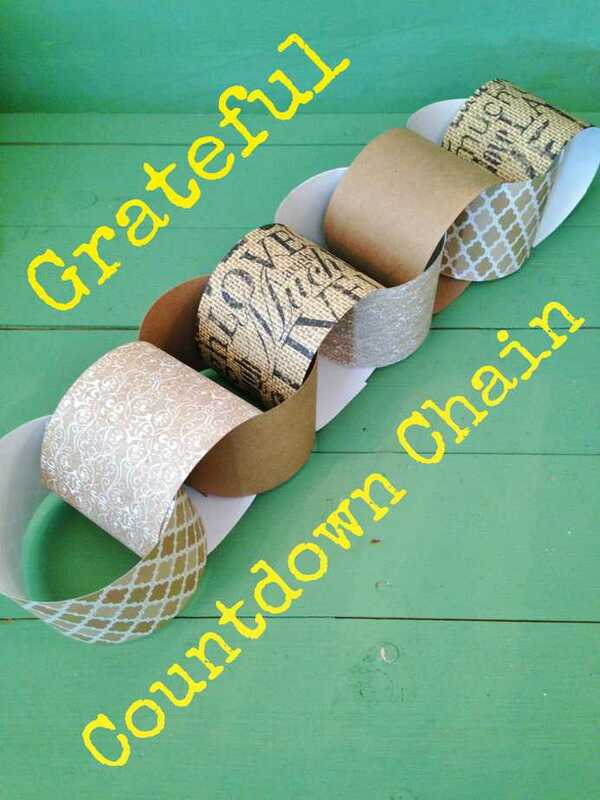 This craft is actually pretty self explanatory but for the sake of explanation here’s how to make it! 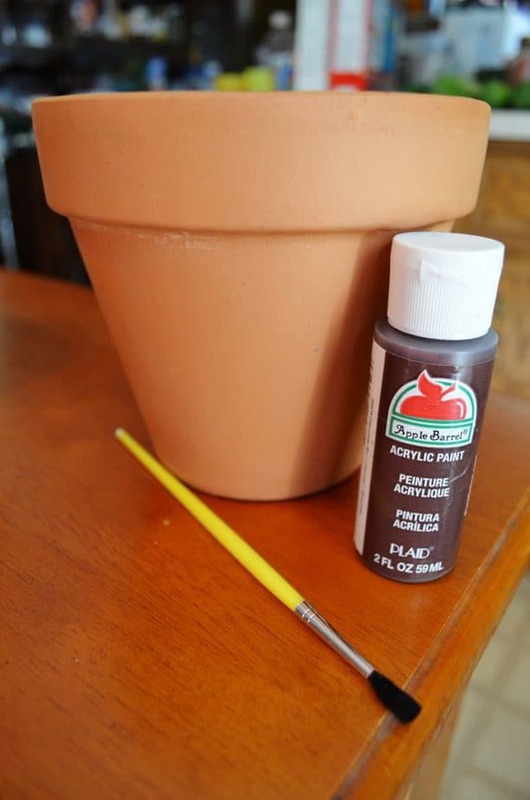 Paint your terra cotta pot completely brown on the outside and bottom of the pot. Flip the pot upside down and place onto your brown piece of felt, paper or fabric. (I used felt.) 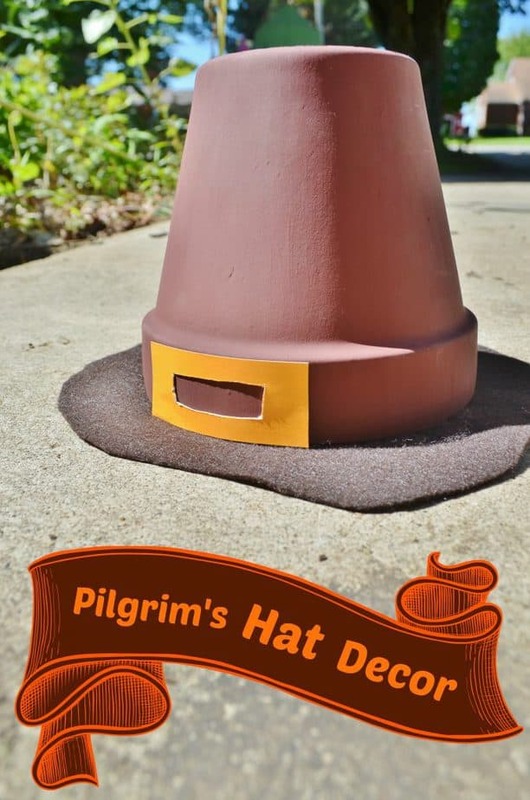 Cut your felt/fabric to circle around the large mouth of the pot making sure you leave about an inch all the way around so that it will be the rim of your Pilgrim’s hat. You can choose to either just set the pot on top of it or use a hot glue gun to attach it. For the finishing touch take your yellow felt/fabric/paper (I used paper.) and cut it into a rectangle shape to fit on the rim of your pot and cut a smaller rectangle out of the middle. This will serve as the “buckle” for your Pilgrim hat! Attach with Glue Dots or hot glue and VOILA you’re finished!! For an extra fun idea you can create mini Pilgrim hats out of tiny terra cotta pots and write guests names on them for personalized dinner place settings!